anyone else put a tele bridge pup in their strat? Discussion in 'Guitars in General' started by oscar100, Apr 22, 2008.
any thoughts on sound/sacrilege etc? did u have to do any routing? how go u find the 1+2 in between sound? how does it compare to having a Strat pickup?? Lowell George did. My Chapin Stratahoula is sort of an LG tribute, sounds totally killer with the Tele bridge pup and the Stratoblaster. I'm not much of a position 2 or 4 guy, but it sounds fine in those positions, even if not exactly like a Strat. You definitely want to wire a tone knob up to the bridge if you do it - I have no idea why Strats don't have stock bridge tone controls anyway, but you especially want it in this case. 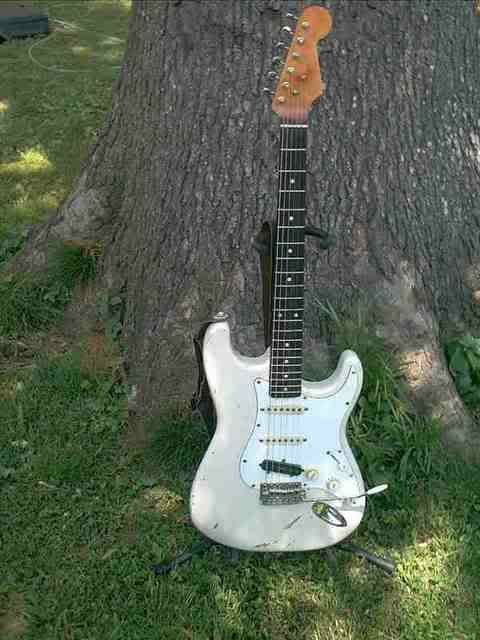 I used to have a Japanese Limited Edition Jerry Donuhue Strat, it had a Tele pickup in the bridge. I REALLY REALLY REALLY REALLY should have never sold this guitar, it was incredible. thats why there is a product niche for these ferrous "base plates" you can add to your strat bridge pup....to take the strat pup in the Tele bridge pup direction. Callaham and Budzguitars sells them. Well, 1st, yes you have to remove a little wood close to the Bridge, assuming its a swimming pool route. If its a vintage route, youll be taking out quite a bit of wood. Mine was an American Std, so I only had to remove a 3/8 triangle towards the rear lower corner to fit it. No big deal (thats what they said in the 60's). It sounds very close to a Tele, but not quite as tight. The in between positions sound very good, the Tele pup is about 6.5ohm, so doesnt overpower the others. The pups are Bridge Duncan Antiquity, and Fralin Vintage hots. A great match. I had a Twangbanger in there and I didnt care for it so decided to try this, and im very happy with it. 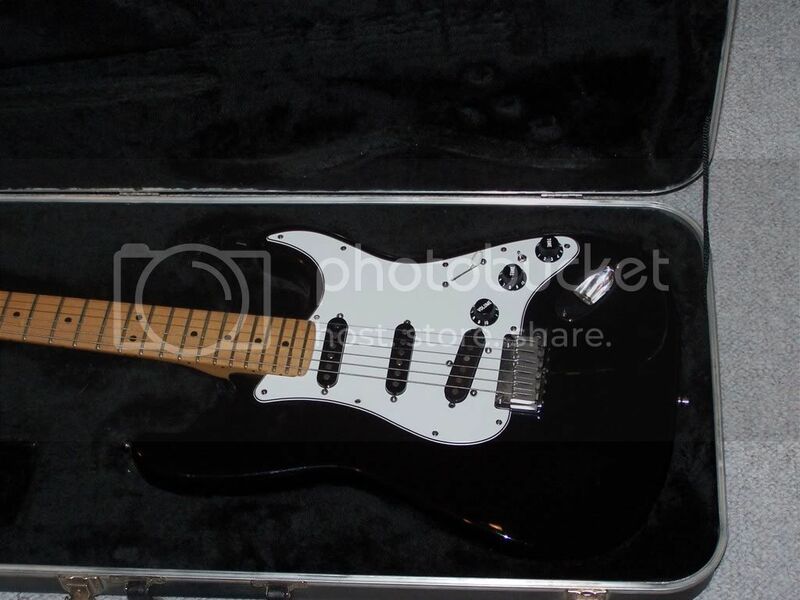 I have a JD Strat- I like the pups sp well I called Duncan to see what they are. The guy I talked to had a loaded pickguard from a JD Strat on his wall. The pups are APS2 neck & mid & Twangbanger bridge. I put this same combo into a nice ash/rosewood board Am Std Strat with a Deaf Eddie switch for more switching options & it is awesome. The SD Twangbanger is not "pure Tele" but is closer to a Tele sound than to a Strat tone. If viewed as "its own tone" rather than saying "does it sound just like a Tele", the Twangbanger is a very fine, full sounding option for a Strat bridge slot & requires no routing. (It is overwound alnico 2 and does have a baseplate). It is a fine pup for blues & slide (takes mid level OD quite well), as well as country twang.